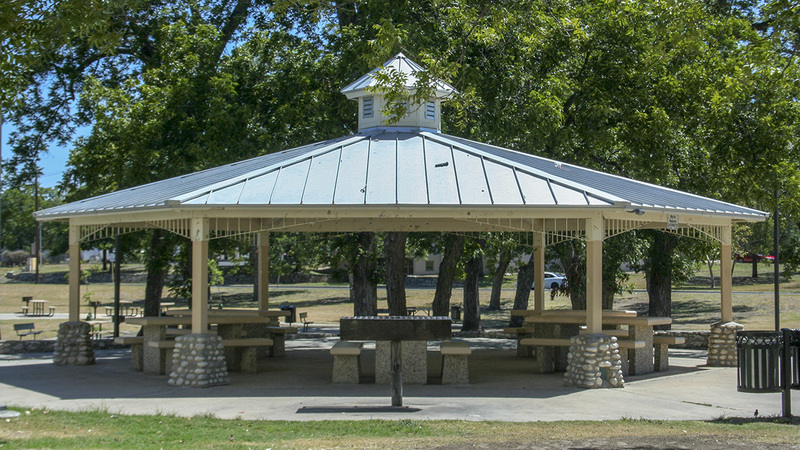 Overlooking a bend in the San Antonio River, this 12.9-acre property is located on the site of a former gravel pit once owned by Bexar County and later given to the City of San Antonio. Initially developed as a venue for the International Fair Grounds where an exposition and livestock show were held from 1888 to 1911, the site was also used as a training grounds for President Theodore Roosevelt’s Rough Riders in 1898, who are said to have conducted drills on horseback there before leaving for Florida and, ultimately, Cuba. The site was later designed as a park by the firm Hare & Hare, which was involved in the project intermittently from 1908 until the park’s inauguration in 1912. 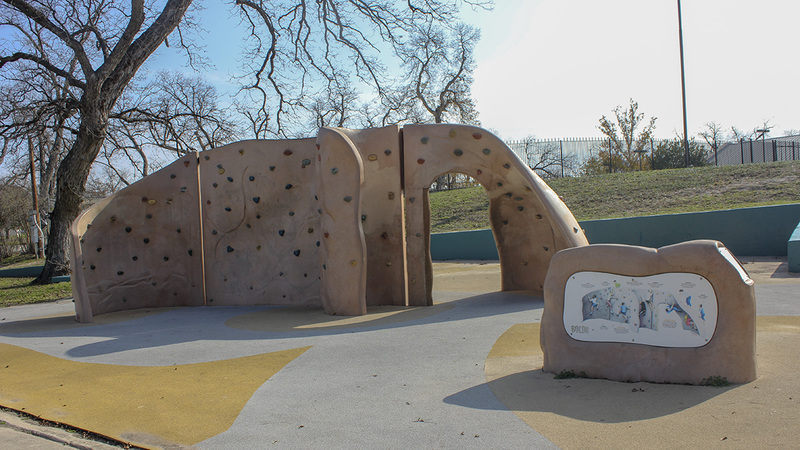 The design included pecan groves and a meandering, paved road running from Roosevelt Avenue on the east to a bridge that crossed the San Antonio River on the west. 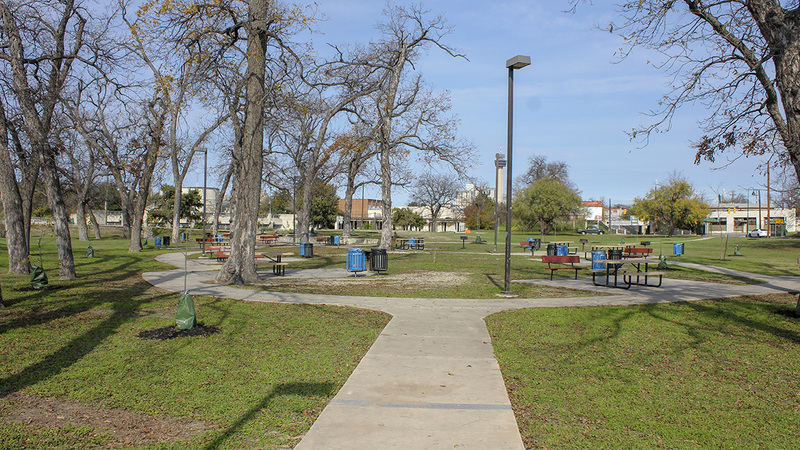 In 1920 the property was renamed Roosevelt Park to commemorate Roosevelt’s visit. 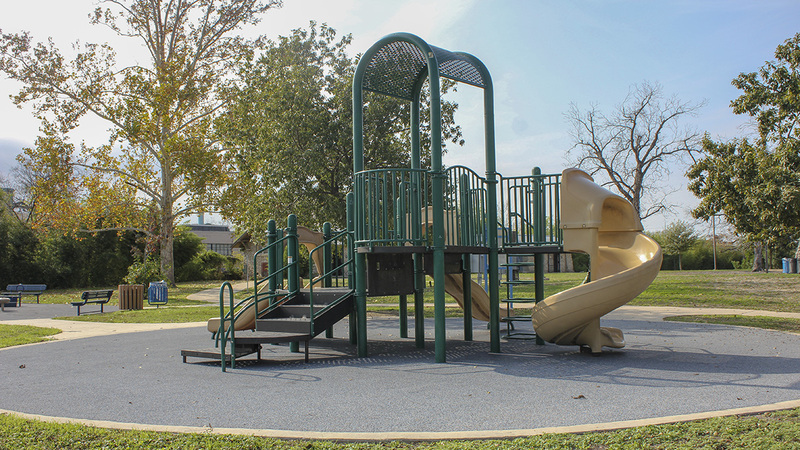 The name was changed to Lambert Park in 1928 (honoring the city's parks commissioner, Ray Lambert) before reverting to Roosevelt Park in the mid-1940s. 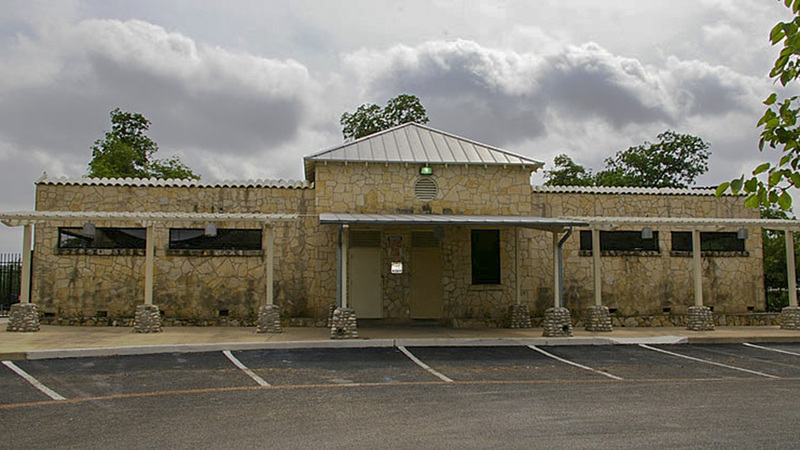 The irregularly shaped, sparsely planted parcel is bounded by Roosevelt Avenue on the east, the San Antonio River on the north and west, and by buildings to the south. 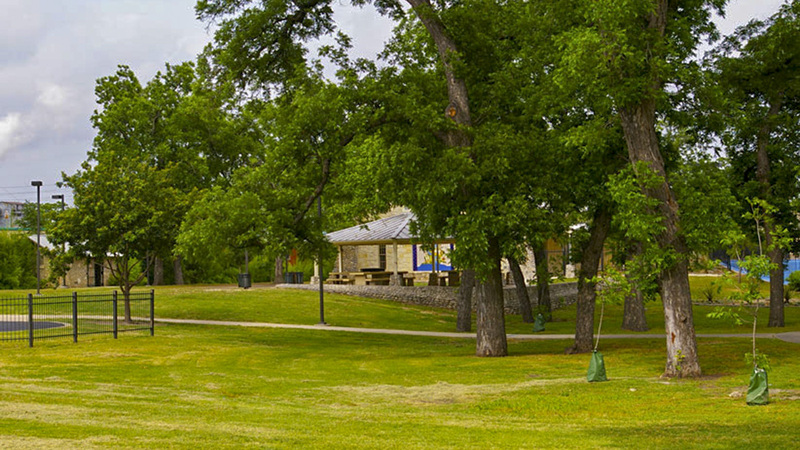 Although the site retains glimpses of the original Hare & Hare design in its rustic east entry and stonework, subsequent additions to the eastern wing of the park now dominate the landscape, including a large public swimming pool and bath houses; picnic areas and swings scattered along a concentric, concrete bicycle path; tennis courts; a visitor center; and children’s bouldering facility. A horse-shoe shaped parking lot straddles Mission road, which bisects the park. To the west of the road are basketball courts and an additional parking area.